OIC Kirsten McFadden with Scott Brodie, trainer of star and former NSW Mounted Police officer .13th January 2012 commemoration cerimony for troop horse “Star “who died on duty. His former rider is the man slumped at the back of the photo. Bill Adam . if you ride a horse and don’t learn something you have waisted an important part of the ride. Every horse teaches us something, some teach us more. Star was one of my great equine teachers. He was not selected for his temperament, one day I was told to pick a horse from a bunch of horses we had on trial as money had become available to make a purchase, hesitation would have seen the money used elsewhere. None had shown aptitude as police horses so I pulled a name out of a hat, “Star”, challenging but inspirational, I can’t thank him enough for the lessons he gave me as a rider. 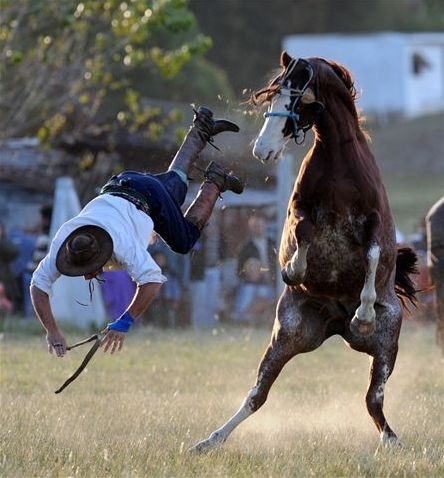 He should never have made it but he did, even winning the best performance by a police horse at Sydney royal show. Was to pull like a steam train and dance. Coat of auburn and tail of black. Or maybe a heavyweight hack? Though he seemed slightly edgy… attentive. Not a thing passed his wild brown eyes. Any thing that appeared by surprise. Resistant to hasten to ﬂight. Until he was sure things were right. A bastion of mutual respect. A model police horse was Star. At demo and rally and fair. He strode into brawl, fray and fracas. Where some hesitated to dare. Can fail their mount to protect. Of something as trife as a fall. The anguished despair on his face. A Plaque at the site of stars death in east Sydney honours his contribution to the New South Wales Police Force. Star was foaled in 1988 and was bought by the NSW Police Force on 20 May 1996. Before his career in the NSW Police Force he was a thoroughbred race horse known as Coolah. 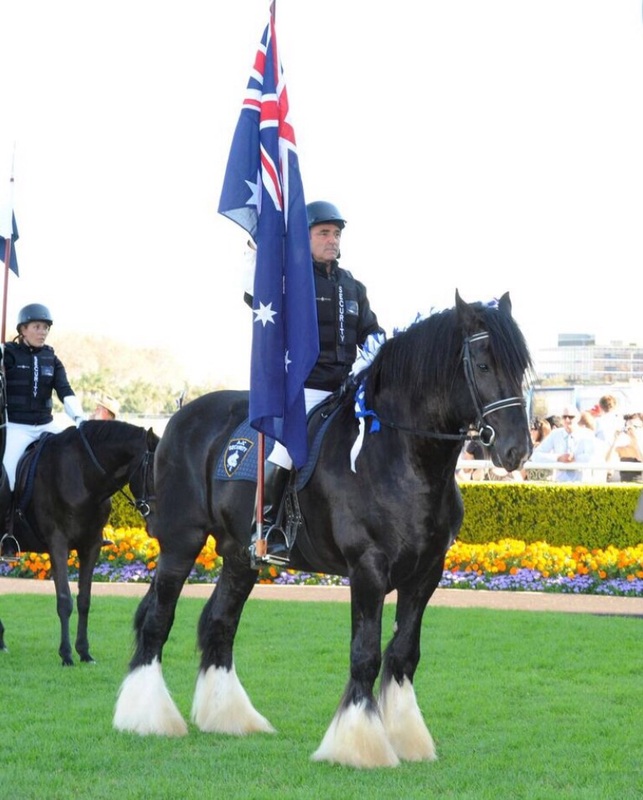 He served as a valuable member of the NSW Mounted Police Unit for nearly eight years, dying at the age of 16 following an incident at Woolloomooloo. Just after 9pm on 13 February 2004 police were conducting patrols of the Woolloomooloo area on troop horses ‘Star’ and ‘Hero’ when the tragic incident occurred. Troop horse Star was being ridden up a kerb on McElhone Street when one of his hind legs slipped on the gutter causing him to fall. During the incident Star tried to re-gain his footing when his rear leg got caught in the grate of a drain and broke. William Adam the Constable, who was riding Star, was thrown from the horse before he and his colleague came to his aid. 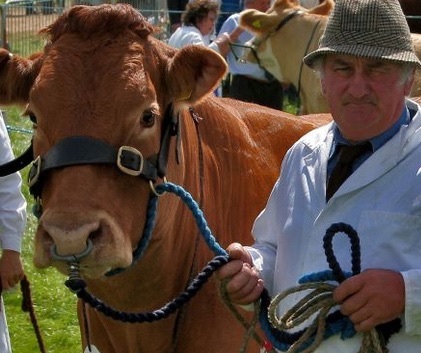 Sadly Star’s injuries were so serious that he had to be put down at the scene. HORSES FOR COURSES by Scott Brodie. “Do you think its in the breeding? They were gentlemen in hand. and his mouth was far from hard. when I asked him to come round. with my chest at full expand. And there’s little I don’t know. I’ve excelled and that’s the truth. When I’ve gone to Sydney show. And when I ride to music, what? Had a smile from ear to ear. And convinced I was a freak. That I would care to ask. I left no trace of doubt. Just like a heeler pup. And jumped him from the yard. He wasn’t going to stop. It all seemed so absurd. And I’d no right here either. I realised I was neither. Why won’t you relax you cur ? You just can’t seem to do it. Or sort of kangaroo it. And though his breedings grand. And it won’t be much longer. His pull is getting stronger. I dare not leave them resting. Or through the wall I’m going. Perhaps my sport is rowing. A throwback in the breeding. But still he’s not worth feeding.